Here's a ring you won't see every day! 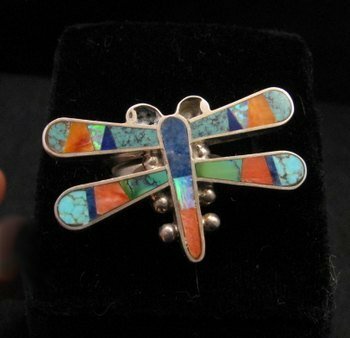 This fabulous Navajo multigem inlaid dragonfly ring was created by Navajo artist, Melvin Francis. 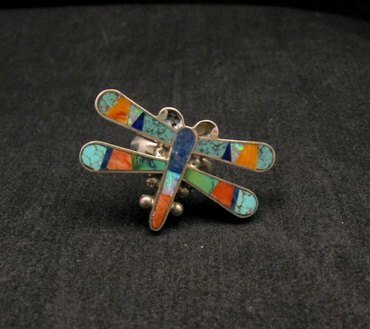 Set with turquoise, lapis, spiny oyster, and lab opal, the dragonfly has a wing span of 1-1/2 inches wide. 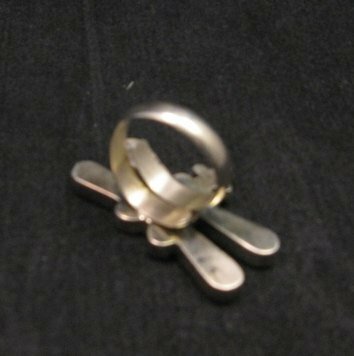 And what's great is that the ring is adjustable so it will work for you no mater what size ring you wear. It adjust from size 6 to 9, and once you set it to your size, you can leave it alone. Hallmarked by the artist. 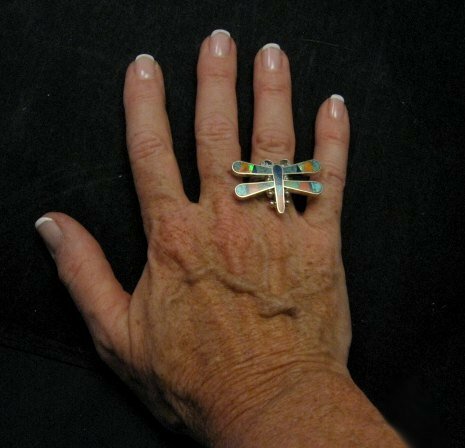 Melvin Francis is continually creating new and exciting jewelry and this ring is no exception. Certificate of Authenticity included and gift box included.